Babele Fashion is delighted to be part of the Back to School Hunt! Join the hunt for your chance to win free items at Babele and more than 50 other shops! There are special prizes every week for those who have collected the most items, and additional prizes at the end of the hunt. 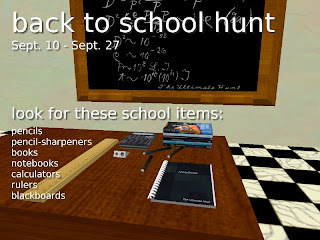 The Back to School Hunt is now underway and runs through September 27th.